Sales from our yard in Yorkshire are by appointment only, please call or use our contact form to make an appointment. On your visit to the Logwise yard why not make a day of it and enjoy some of the fabulous local places of interest? Within just a few miles of our yard we are blessed with some wonderful and varied ways of enjoying the beautiful North Yorkshire area, we’re sure some will spark your interest. These include activities such as hill walking, climbing and caving; visiting historic National Trust attractions, relaxing tea rooms, a local ice cream parlour and even adrenaline fuelled roller coasters! 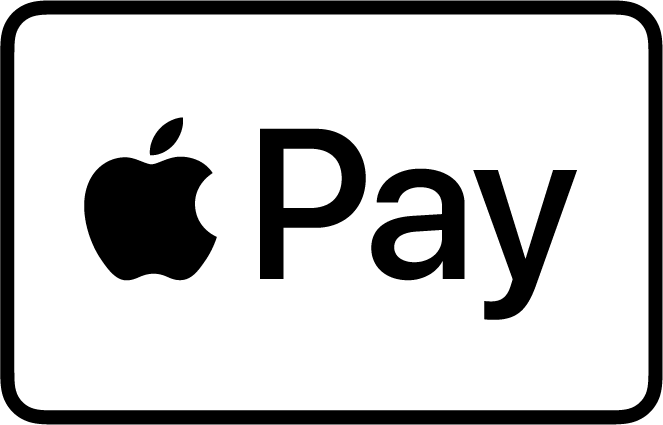 We have compiled a few of our favourites for you to enjoy here. 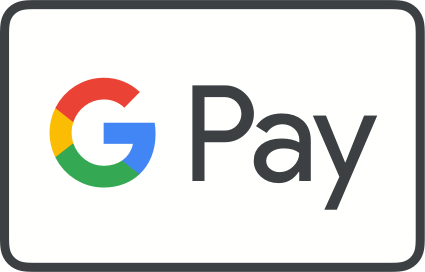 Read our synopsis of each attraction and get Googling! 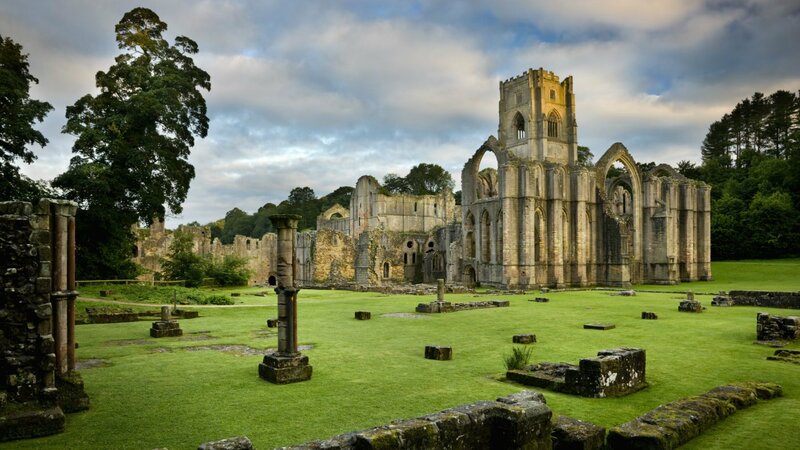 The National Trust’s Fountains Abbey is only 3 miles from our yard and is one of the largest and best preserved ruined Cistercian monasteries in England. This magnificent abbey was established by devout monks. The atmospheric ruins that remain are a window into a way of life which shaped the medieval world. When John Aislabie inherited Studley Royal – the estate which included the abbey – he set about creating an elegant water garden of mirror-like ponds, statues and follies, incorporating the romantic ruins into his design. One-of-a-kind, this special place is now recognised as a World Heritage Site. The renowned monastery and charmed gardens have a visitor centre fitting of its prestige. You won’t be disappointed. Why not try some locally made ice cream on your way home from Logwise Firewood? Based on a neighbouring farm, only a few hundred metres away from our yard it has become a Logwise favourite. 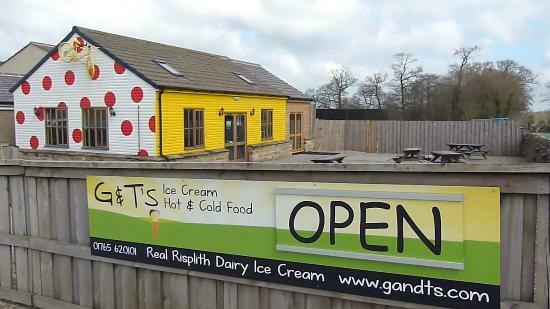 Always a warm welcome to go with gorgeous and inventive cold ice cream, delicious cake and specialist coffee. Traditional ice cream and sorbet flavours are always available as well as creative specials. 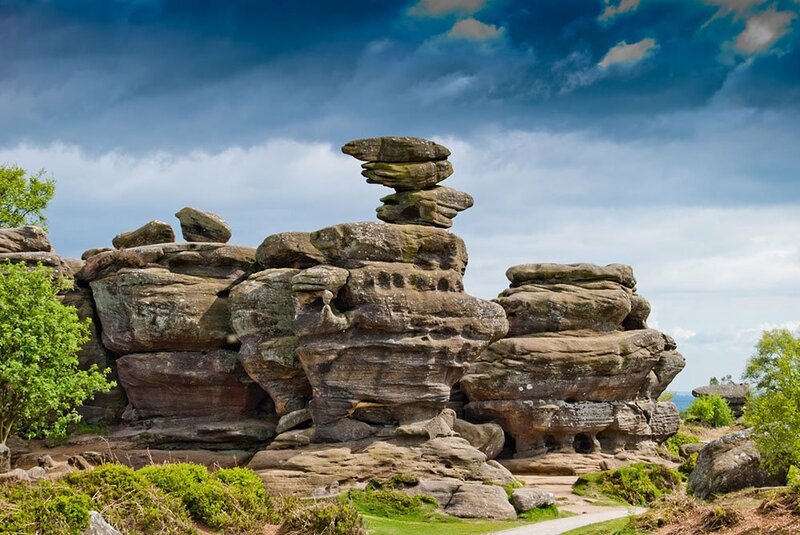 Only 3 miles west of our yard is the dramatic moorland rock formations, Brimham Rocks. This amazing collection of weird and wonderful rock formations truly is a spectacle of nature! Set over 400 acres of moorland takes about 4 hours to explore for the first time and makes a great day out for families, climbers and those wanting to enjoy the simple pleasures of fresh air and magnificent views over Nidderdale. There is a labyrinth of paths to explore at your own pace in this unique landscape as well as challenging rock formations to climb and a pleasant tea room. The site is open all year round, typically from 8 a.m. until dusk. Entry is free but car parking is charged for visitors who are not members of the National Trust. Nidderdale is well known in North Yorkshire as the forgotten Yorkshire Dale and while it missed out in being included in the Yorkshire Dales National Park it was designated an Area of Outstanding Natural Beauty in 1994. In addition to Nidderdale itself the area of outstanding beauty includes upper Nidderdale, the Washburn valley and part of lower Wensleydale, including Jervaulx Abbey and the side valleys west of the River Ure. 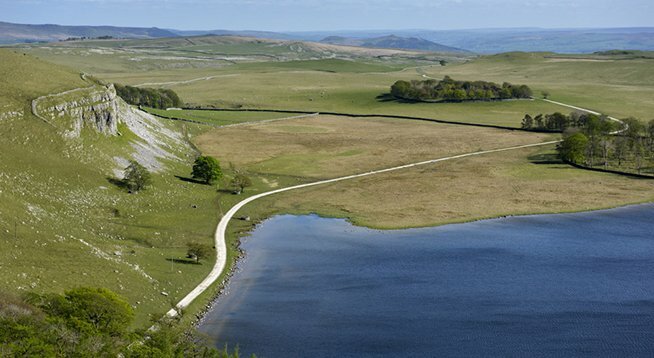 Another National Trust site, Malham Tarn is a glacial lake 30 miles west of Logwise and definitely worth visiting. The tarn’s geology, flora and fauna is fascinating; its outstanding area of limestone pavements, upland hill farms and flower-rich hay meadows provides a marvellous setting for walking, cycling or just enjoying the great outdoors. The National Nature Reserve is home to a unique community of rare plants and animals – the bird hide in particular is worth a visit. 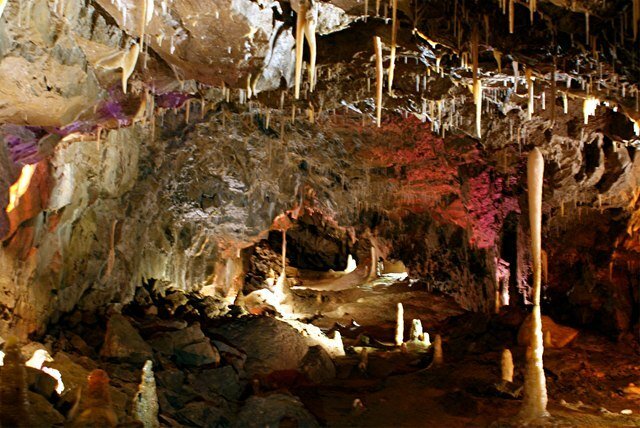 For those that like to go underground be sure to examine Stump Cross Caverns: a limestone cave system between Nidderdale and Wharfedale, 10 miles from Logwise Firewood. The caves formed many years ago as the limestone was eroded by weak acid rain; underground streams found their way into the cracks and began to expand the cave system as more rock was worn away. Once the streams had gone from the upper levels of the valley the cave system was left behind, and the mineral structures that are present today slowly began to form as water dripped through the caverns. Remains of Wolverines, a giant member of the weasel family have been discovered at Stump Cross! The remains are on display in the visitor’s centre. For a relaxing afternoon tea and cake, situated 8 miles south of Logwise Firewood, try the historic Bettys Tea Rooms. 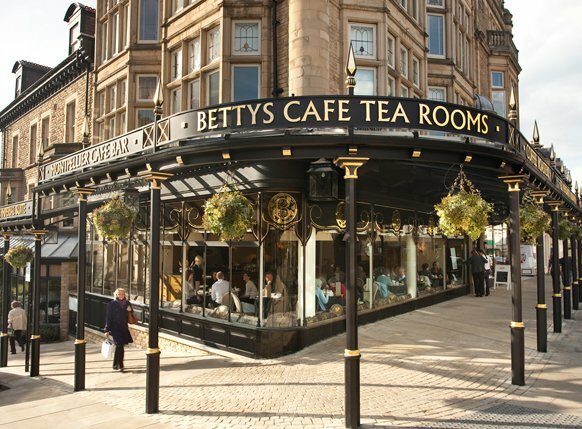 The story of Bettys Tea Rooms began in 1919 when founder, Frederick Belmont, opened his first Bettys Café Tea Room in the fashionable spa town of Harrogate. The combination of mouth-watering Swiss confectionery and Yorkshire warmth and hospitality in such an elegant setting proved irresistible. Nearly 100 years on, Bettys Tea Rooms remains as popular as ever. Providing a wonderful relaxed setting for breakfast, lunch, afternoon tea and evening meals, Bettys Tea Rooms Harrogate offers one of the best spots in town to enjoy the beauty of the town’s surroundings. You’ll also discover over 300 breads, cakes and chocolates, as well as different teas and coffees and a small delicatessen section with pastries, salads and soups. For those wanting an adrenaline fuelled adventure or an action-packed family day out, Lightwater valley should satisfy you desires! Based near Ripon, Lightwater Valley is only 8 miles from Logwise Firewood. Take on a day out packed with thrills, chills and adventure, choose to run wild on the UK’s largest Angry Birds Activity Park or head to the Lightwater Falconry Centre to see over 35 amazing birds and watch spectacular daily flying shows. 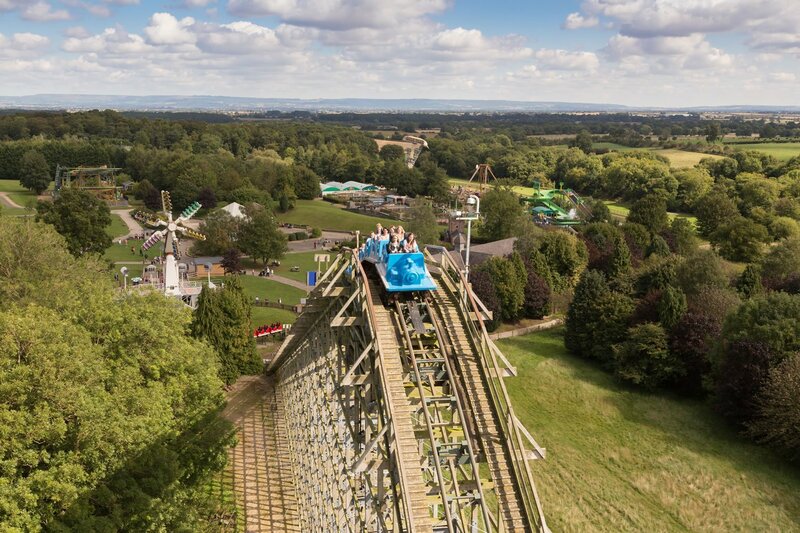 With over 40 rides and attractions for thrill seekers of all ages, Lightwater Valley Theme Park is bursting with mini, mega and ultimate adventures for the whole family.